As you would expect, we have our fingers on the pulse of all Scottish exhibitions and events. With the busy festive period out of the way, the upcoming events calendars for two major Scottish venues are starting to fill up with amazing shows, events and exhibitions. Is there any event venue more impressive than the Royal Highland Centre? 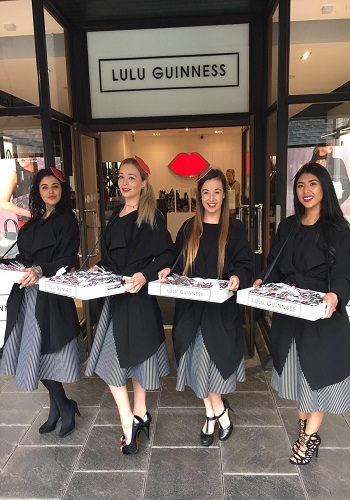 Our Scottish promotional teams and models have been key components of success for many clients at various events, including those held at this indoor and outdoor event venue. The 2019 calendar for the Royal Highland Centre looks as busy as ever. Many of the events are calendar staples, as well as some new events and concerts too. Come March, we will no doubt be working with leading manufacturers and brands from the world of bikes and superbikes for the Carole Nash MCN Scottish Motorcycle Show. As well as hundreds of classic bikes on show, there is also the ever-popular Bike Jumble as well as a huge retail area. Our marketing and promotional staff are the perfect people to make the most of this amazing show. Returning this year to the Royal Highland Centre will be the Gardening Scotland at the end of May as well as the ever popular Royal Highland Show mid-June. Take a look at what’s on at the Royal Highland Centre. The Scottish Event Centre is also home to some great events. There is a whole list of concerts and events by some of today’s leading musical artists. From Little Mix to Andre Rieu, if you want culture and fun, take a look at their full schedule of events for 2019! Alongside concerts and festivals, there are some great exhibitions and conferences. In January 2019, we fully expect teams to be working with Scottish clients at two major events. Scotland’s Speciality Food Show from the 20th to 22nd January 2019 at SEC is what you expect it to be – an event stuffed full of artisan Scottish food and drink producers showing the world the best of Scottish fare. It’s a huge trade event with nearly 200 exhibitors and an expected footfall of 1200 visitors. There will be farm shops, delicatessens, cheese producers and more enticing hotels, restaurants, food hall buyers and more with their tempting and delicious produce. Running at the same time is Scotland’s Trade Fair, an event that promises to attract over 4,000 trade buyers, people the 550 exhibitors will be keen to impress. From homeware to giftware, fashion, accessories, crafts and more, it promises to be both a busy and potentially lucrative event for Scotland’s traders and buyers. Get the full details of what’s on at the SEC. 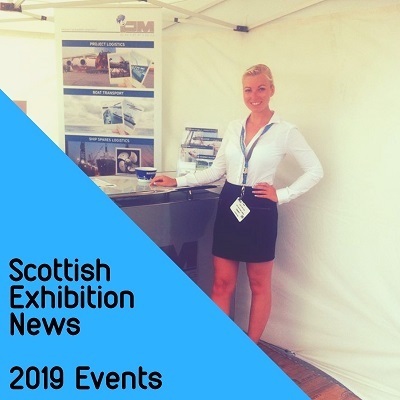 If you are exhibiting at any of these Scottish events, you will want to come away from the show with a full order book, plenty of leads and new customers. 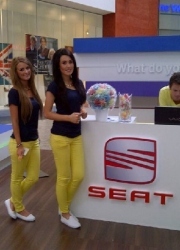 Hiring exhibition staff from a leading promotional agency in Scotland is key to success. So why not give us a call about hiring sampling staff, demonstrators, promotional staff, flyering teams and more? This entry was posted in Edinburgh Events, Exhibition, What's on in Scotland. Bookmark the permalink.